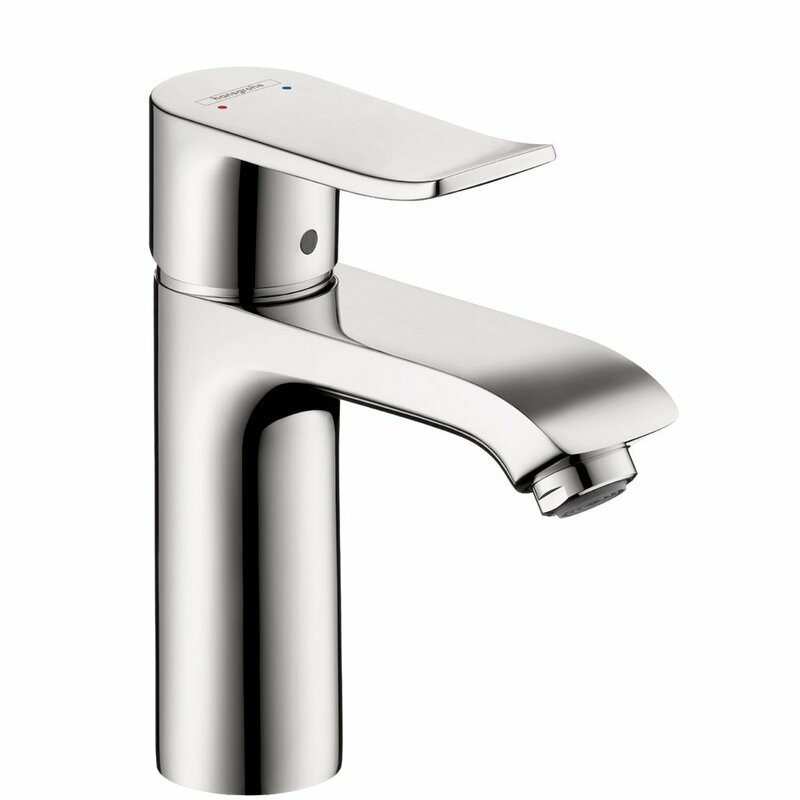 The Grohe Concetto 32665001 is designed in a traditional way and requires one-point installation. 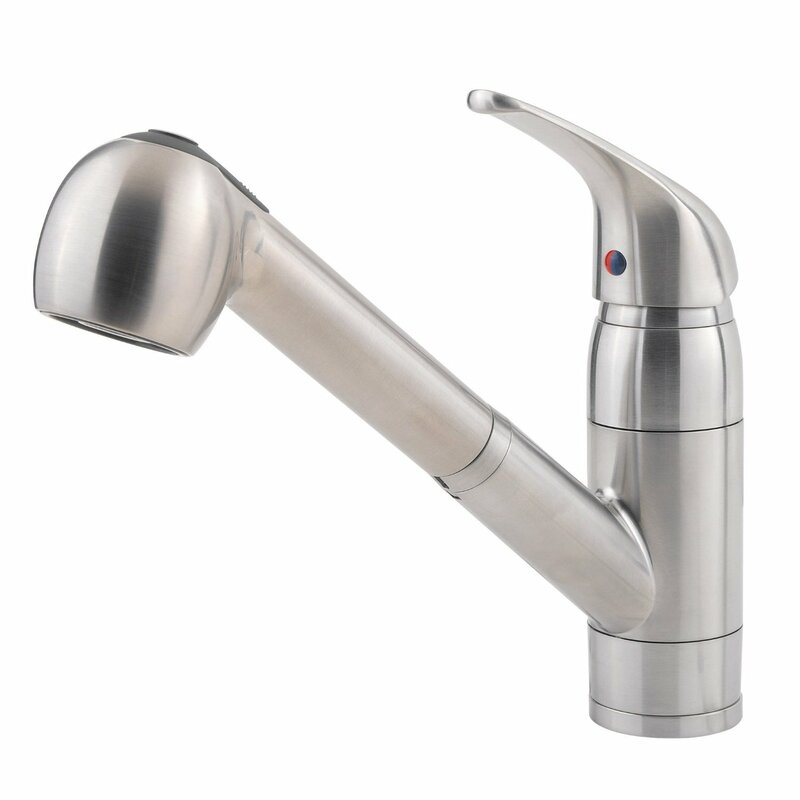 Whether it is your primary faucet or you just need to upgrade kitchen area, this water tap will conquer your attention with its awesome look and surprisingly affordable price. 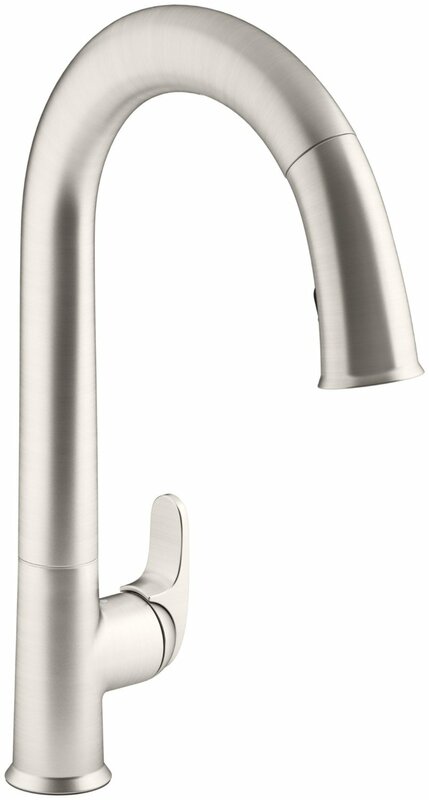 The Grohe Concetto is 2-in-1 faucet with a pull-down spray head. The MRSP on the Concetto 32665001 is about $430, however you can save up to 40% on Amazon. 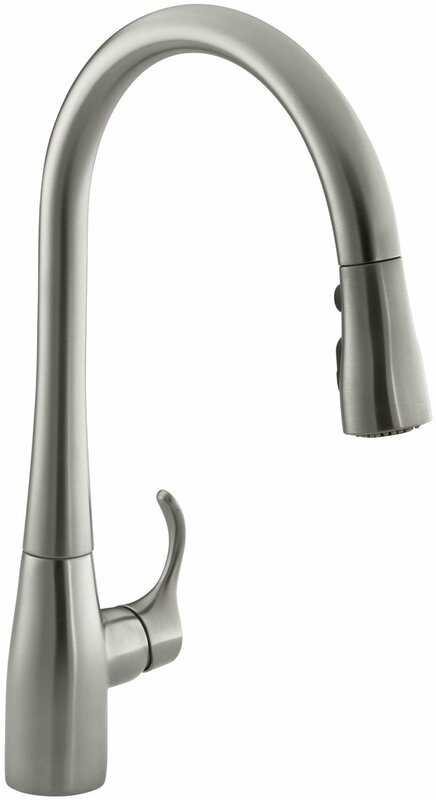 The Grohe 32665001 Concetto kitchen faucet has minimalist style with perfect ergonomics, reflecting the key values of the cosmopolitan age. It is manufactured of solid brass – a durable and environmentally safe metal which doesn’t emit toxins and chemicals into the water. Besides, solid brass features high-end casting, thus it results in sophisticated and stunningly executed shapes of the work-piece. 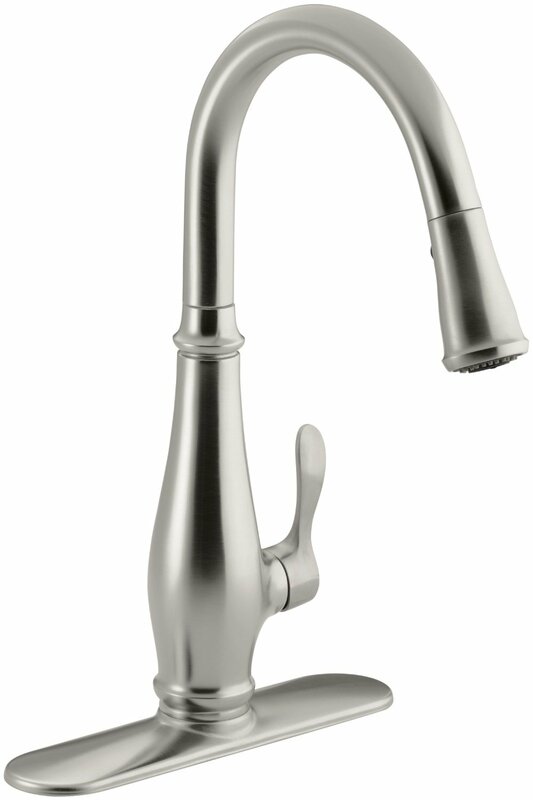 A high spout consists of a number of cylinders, arching elegantly over the sink. It has a maximum swivelling degree for a perfect functionality. There are two finishes available – starlight chrome and silver. 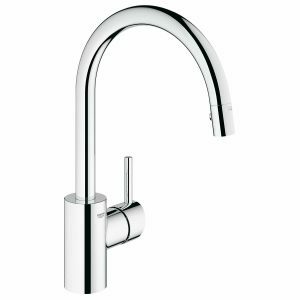 High quality of the Grohe Concetto is conveyed by smooth operation. As the temperature is changed from hot to cold, the ceramic discs glide across one another effortlessly. These cartridges are produced through a high-tech process, and its ceramic alloy is space-proven. The SilkMove cartridge is a good example of Grohe high technology enhancing water experience. You can control the water volume and temperature with just one finger. The water flow capacity is 1,75 gpm, therefore it meets CALGreen standards and considered to be water conserving. All Concetto innards are manufactured for long-lasting performance. SilkMove cartridges are equipped with durable ceramic discs ensuring extreme wear resistance for decades. Grohe has been improving its unique plating process for the last 80 years. The company produces shiny surfaces which are recognized as the best plumbing finishes in the world. 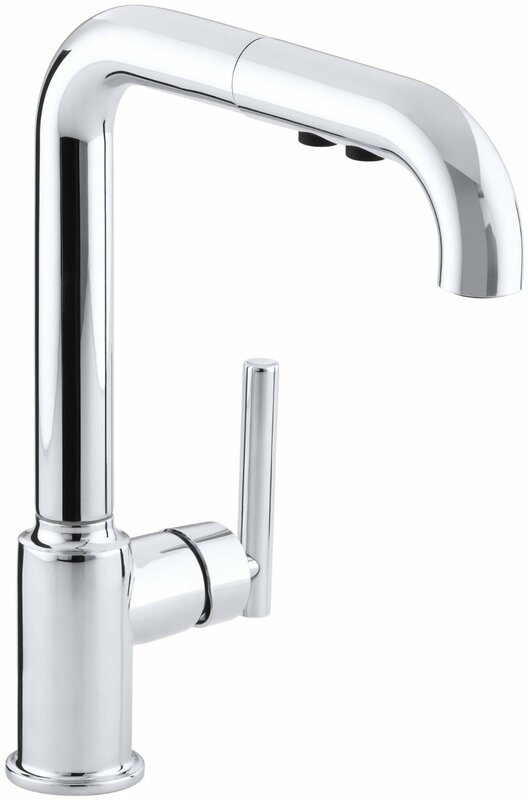 Grohe faucets have sublayers of copper or nickel to provide 100% non-porous surface which is followed by the chrome layer. Grohe is well-known for the user friendliness provided to the customers. Grohe SpeedClean technology allows simple maintenance, protecting spray head nozzles against lime and corrosion build-up. It is easy to clean the surface with a finger or small brush. The Grohe brand name speaks for itself. Purchasing the plumbing fixtures of this manufacturer means receiving the highest level of durability, functionality, ergonomics and long-lasting style. The key advantage of the Concetto Grohe 32665001 is incredible easiness of set-up. 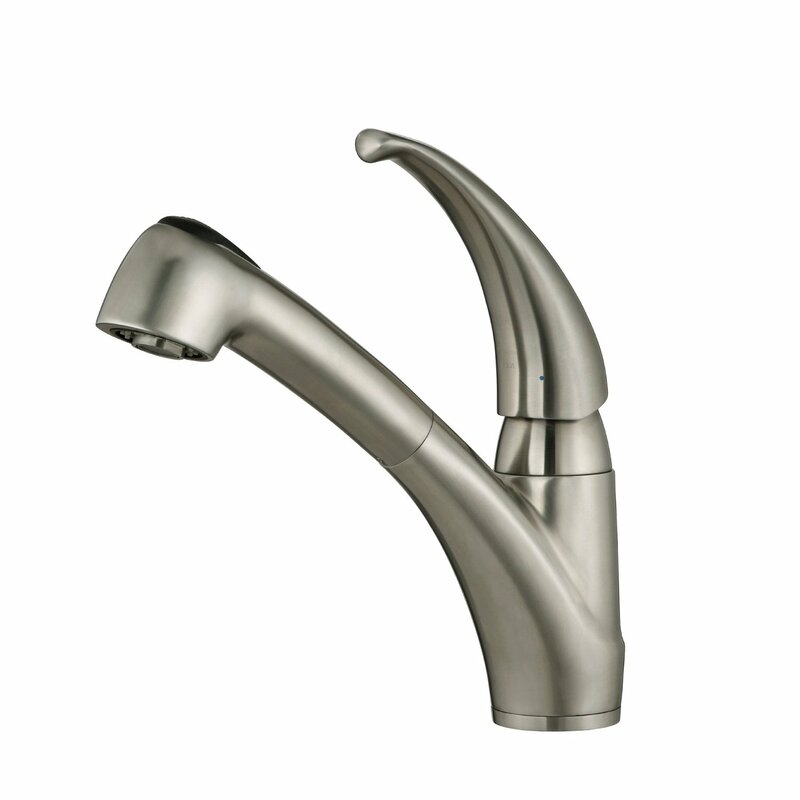 The faucet is universal and matches even brand-new basins. All the technologies used in the process of manufacturing make this appliance user-friendly and convenient for disabled people. 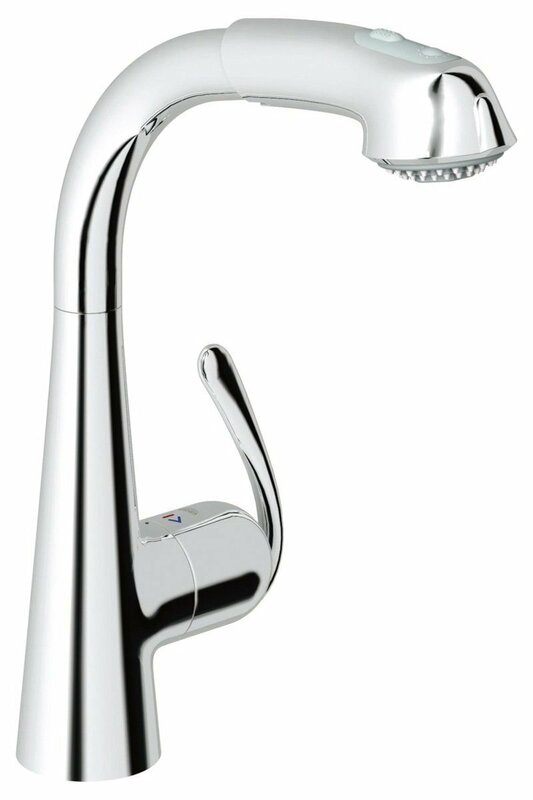 The Grohe Concetto received 4,3 star rating on Amazon. Only several customers had problems with splashing, however the manufacturer recommends not to use the faucet in maximum pressure for the first days in order to get used to the flow system. The majority of buyers are extremely satisfied with their purchase and highly recommend Grohe 32665001. 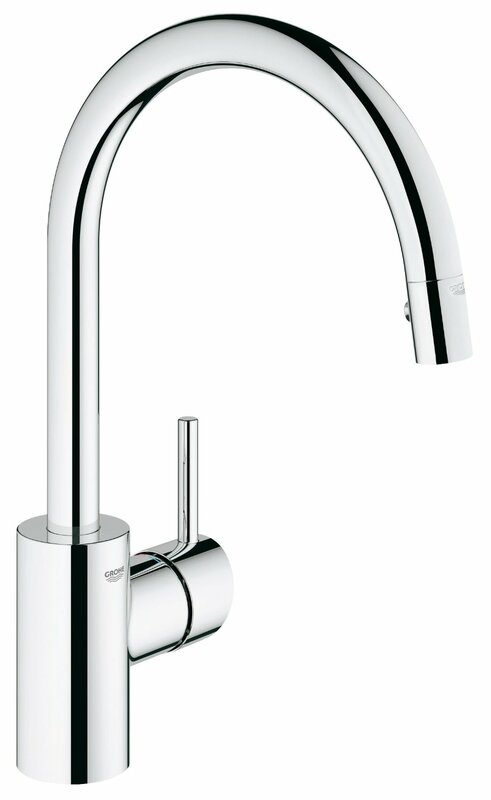 If you are looking for a perfect upgrade of your kitchen design – the Grohe Concetto 32665001 is definitely great pick. 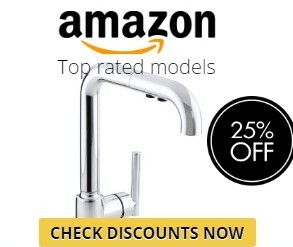 The faucet offers an outstanding quality, magnificent design, durability and multiple features which make this kitchen tap the best plumbing fixture for the money.